Managers will all face, at one time or another in their careers, a truly daunting project that should be done for the betterment of the organization. It falls on their shoulders, then, to muster the personal fortitude to do it, and to convince the team it’s in their best interest as well. Here’s what I know works to motivate and to succeed in such efforts: Before you take on a significant endeavor, accomplish a lesser goal to reinforce the intricacies of teamwork and the thrill of accomplishment. An example: one of the most daunting projects before me, as publisher of a city business magazine, was the need to add a full events schedule to our publishing schedule without adding any additional staff. Before asking my employees to do that, I arranged for them to spend a paid work day with a volunteer crew tasked with building a playground for the Salvation Army in one day. Then I gave the worksite coordinator a personnel list with a special request as to how my staff was to be paired up, making sure everyone worked alongside a person they normally had little interaction with. Initially, looking at all the assembled raw lumber and hardware, our folks were skeptical. An entire playground, built by less than 50 office volunteers in a day? However, the three people sent by Home Depot provided clear instructions, demonstrated tool use, and spot-checked progress. At the end of the day, there was much whooping and celebratory back slaps. Three days later, I unveiled the plans for our next “little project”. Today, the magazine is known for its events calendar, which includes a state-of-the-art business trade show. How many people did we add to staff? None. Their “we got this” attitude meant higher salary opportunities and greater service for our customers. More recently, I was asked to spearhead a movement to revitalize a small town, which means tackling a collapsing Main Street. A small cluster of people formed the Bushnell Citizens Coalition (BCC), a non-profit agency. 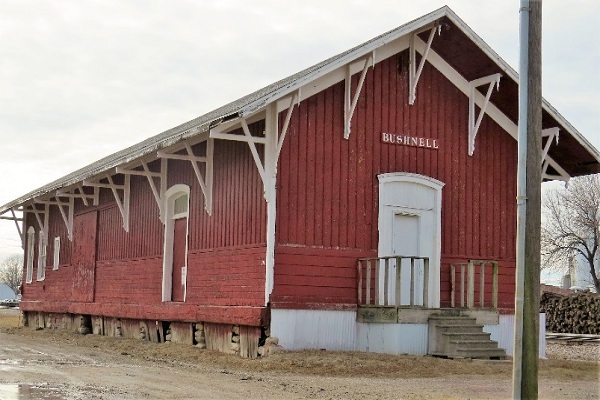 We decided to start the downtown conversion by rehabbing a legacy building standing dead center on Main — an old freight train depot (the oldest in Illinois) which lacks a foundation, heating and plumbing and has broken windows. At present, it houses three antique carriages, but is unsafe for public entrance. Could we rally the money and volunteers needed to restore the exterior to its former glory and then add a museum and kiosk businesses inside the building? Not likely. But I could rally people around a small, neglected Santa house which had been all but forgotten. I could show them what teamwork and project success could feel like. Last December, a few volunteers painted and moved the Santa house to a spot near the depot. We got electricity hooked up and brought Santa to the house in a horse and carriage. Families lined up. We added a yard decorating contest with cash prizes, and soon every neighborhood was lit. We hosted a “bring your extra lights and decorations to the library” day and then redistributed the goods free to needy citizens so that everyone could participate. Members of the Fire Department offered to start a holiday lights parade with two vehicles; we rose to that challenge and less than two weeks later, 38 decorated and lit floats made the town the magnet for almost 1,000 visitors, crowding every street. Pepsi donated a beverage truck but quickly ran out of product. It was an amazing success. Now, we’ve been officially deeded the depot by the city. The BCC will begin construction this spring, raising crews and money all along the way. One benefactor gave us $10,000 in seed money because of our holiday success. Volunteers are signing on daily to help with the project, and Bushnell has a whole new vibe these days. That small taste of success is sparking a desire for more. In order to succeed, we must first believe that we can. Before your next big project, imagine a smaller success and then do it.